When Samsung purchased the powerful virtual assistant VIV, we all expected it to feature in the Samsung Galaxy S8 – but a new report suggests that won’t be the case. 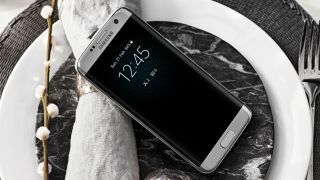 The Galaxy S8 and Galaxy S8 Edge are both heavily rumored to launch in the first three months of next year and come with Android 7 Nougat software. The latest rumors suggest it’ll be Android 7.1.1 on board, which will feature Google’s highly anticipated Assistant features. It seems Google will be upset if Samsung uses VIV instead. That's according to a report from The Register which claims Google has requested Samsung leave VIV off of the flagship phones for the time being to push the new Google Assistant features on flagship phones. It means Samsung will still be able to use the VIV assistant on Tizen devices – such as the Samsung Gear S3 and upcoming wearables – but considering Samsung likely spent a lot of money on VIV it won’t be just dedicated to wearables. Whether Samsung will keep to Google’s request is yet to be seen, and we probably won’t know for certain until near to MWC 2016 when we expect to see both the new flagship phones.